Fixed the awkward animation when the character is climbing up on an object while in combat stance. Fixed the issue where Black Spirit’s Rage(Innate) could not be locked. Fixed the typo on the Rage Absorption buff icon. The animation where the character absorbs Black Spirit’s Rage will not occur if the character’s Rage meter is below 100%. Fixed the graphical glitch with Snowflake Hat that occurred with female characters. 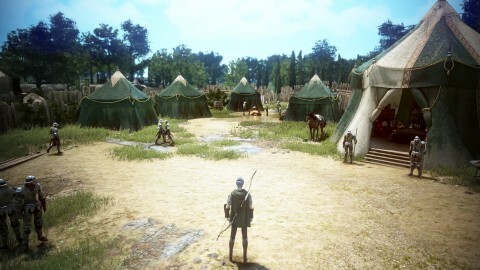 Fixed the graphical awkwardness of the skin texture of characters and horses in certain distance. Fixed the issue where the characters would stop moving occasionally. Fixed the issue where Karma did not drop when you attack other players first with PvP on. Fixed the animation glitch that occurred when the following characters are wearing Moonflower Clothes. Skill description of Spirit Healing has been edited to match the actual skill effect. Using Blasting Gust after rightward Ultimate: Evasive Shot will be easier. Description of Rage Absorption buff has been edited to be more accurate. Fixed the awkward animation that occurred when the Berserker jumps forward in main weapon combat stance. Heilang’s HP has increased by 10000% in all levels. Fixed the issue where Surging Tide and Stretch Kick could not be used after Jolt Stab. 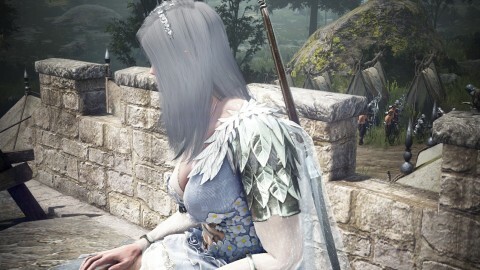 Fixed the issue where the Tamer’s hair turned white when she is wearing Terrmian Casual Wear and certain hair accessory together. Fixed the graphical awkwardness on the Valkyrie’s neck during character customization. Fixed the issue where the Musa’s gathering animation was different from other characters. Fixed the graphical awkwardness on Order of the Apricot Helmet in certain angle. Changes are made to Black Spirit: Cataclysm. - Skill will not be used on cooldown. - Time period to enter the commands has increased. Changes are made to Black Spirit: Equilibrium Break. Fixed the graphical awkwardness that occurred when the Witch is sitting on Crio Fishing Chair. Movement speed and distance for Black Spirit: Lunar Dash have increased. Critical hit chance +20% has been added to Black Spirit: Sah Spree of Sonan. Fixed the graphical awkwardness that occurred when the Kunoichi is wearing Eunyoo outfit and certain types of shoes together. The animation of Black Spirit: Sudden Decapitation will be faster. Fixed the graphical glitch with Warhawk Armor. Fixed the issue where the PvP damage of Absolute: Wolf’s Hunger was lower than intended. Damage has increased by 25%. Fixed the graphical awkwardness on the Mystic’s face when she is leaning against a wall. Hunting Mastery has been added. 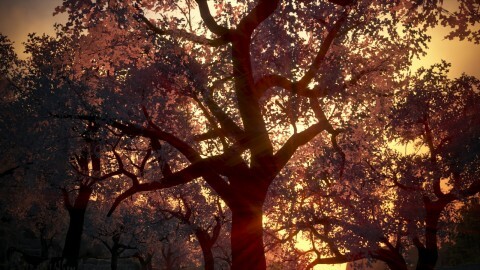 - Hunting Mastery is different from Hunting Level. 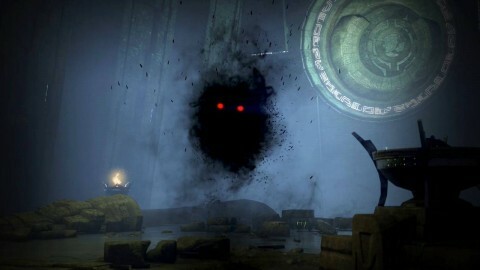 - Hunting Mastery will be determined by Hunting Level, Manos Hunter’s Clothes, and Manos Hunting Accessories. 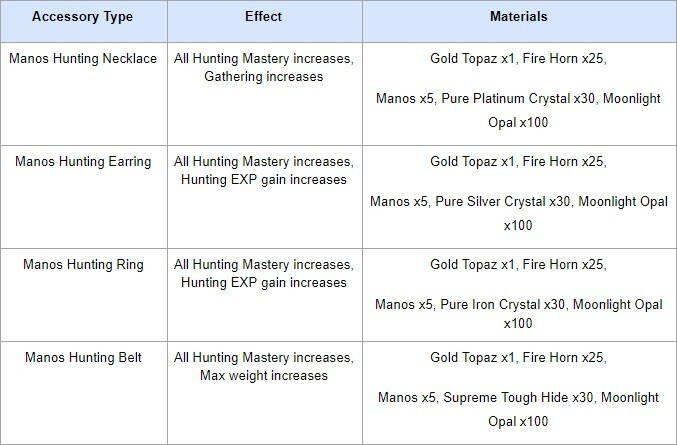 - If you have higher Hunting Mastery, the amount of materials you get from butchering monsters after hunting them will increase and you will be able to get the new materials for new furnitures and trade items. - Blue Whale, Khalk, Humpback Whale, and Freshwater Crocodile will not be affected by Hunting Mastery. Along with Hunting Mastery, Sniper Hunting mode has been added. 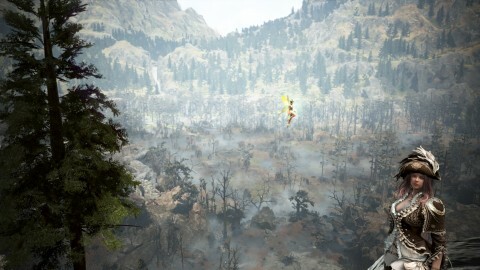 - Sniper mode is a new Hunting mode that uses a Sniper Rifle. You can shoot a monster’s weak spot from distance using a Sniper Rifle. 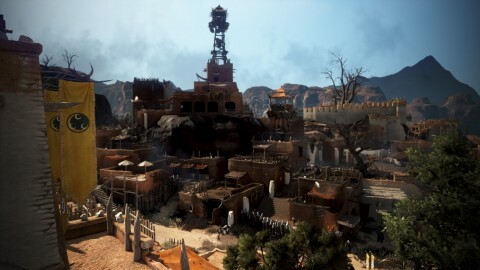 - The Sniper mode requires a mini game as well as your aiming skills. Chances to obtain fishes in Velia Sea have changed. 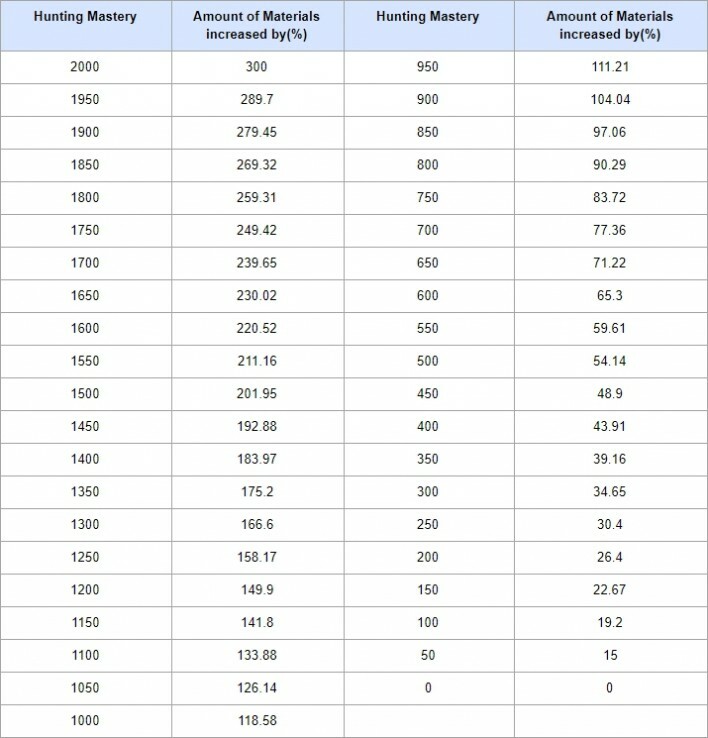 Chances to obtain Grunt and Moray have increased, and chance to catch large Sea Eel has increased. Fixed the issue where nothing was catched via auto fishing. Fixed the issue where items could not be placed in placement mode if the mode was opened while using a skill. The word “Magical” has been removed from the following Magical Manos gear, and the name Sailing Clothes has changed to Sailor’s Clothes. Manos Hunter’s Clothes has been added. 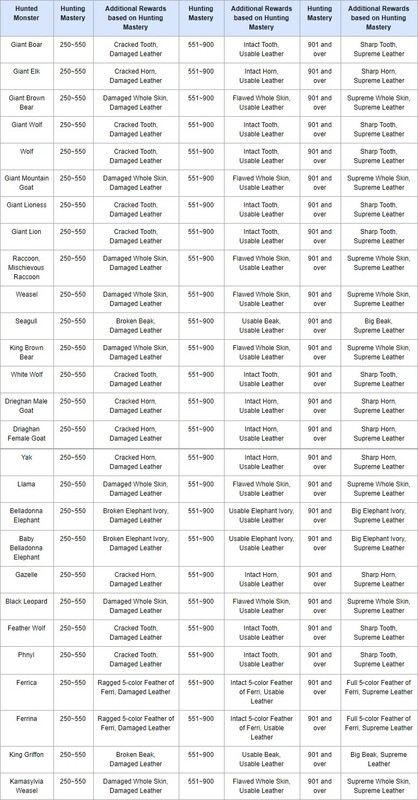 Manos Hunter’s Clothes can be crafted via Manufacturing. - Twilight Cotton Fabric can be crafted by Processing (Grinding) 50 Cotton Fabric and 50 Oil of Fortitude together. 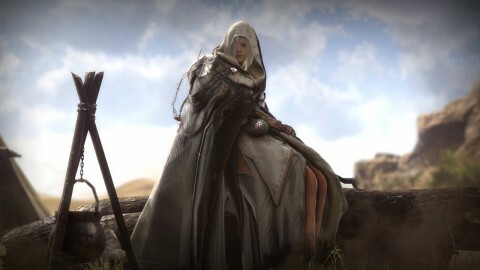 - Manos Hunter’s Clothes can be enhanced up to PEN(V), and can be safely enhanced up to +5. 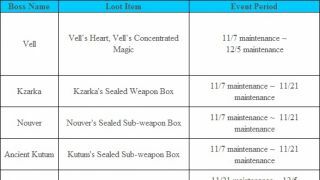 - Enhancements with Black Crystals will not be affected by failstacks and Valks stacks. 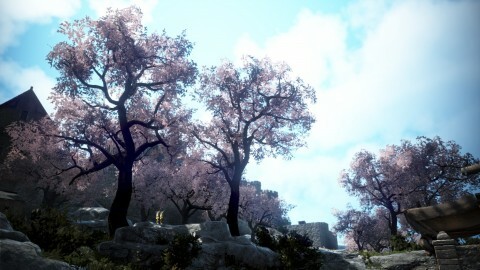 - Enhancements with Black Crystals will not add to the current failstack even if the enhancement fails. 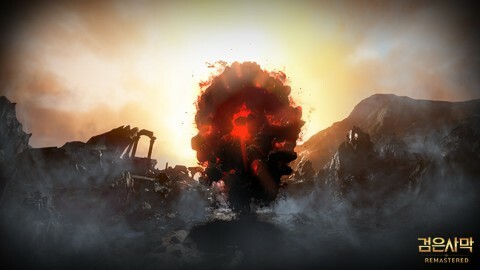 - Enhancements with Black Crystals will not reset the current failstack even if the enhancement succeeds. - Enhancements with Black Crystals has higher success rate than regular enhancements. 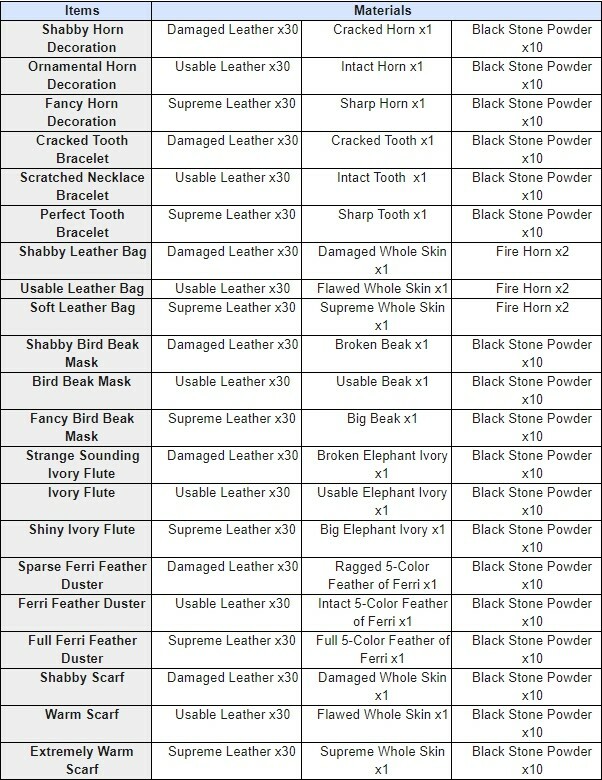 Manos Hunting Accessories have been added. Manos Hunting Accessories can be crafted via Manufacturing. - Manos Hunting Accessories can be enhanced up to PEN(V). 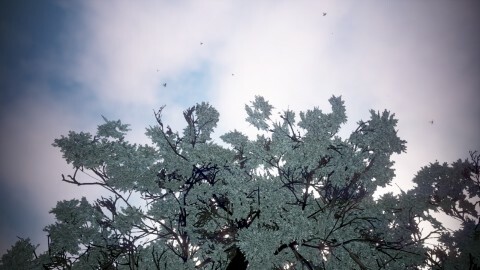 The enhancement requires Concentrated Magic Black Crystals. [Hunting] Practice Sniper Rifle and [Hunting] Sniper Rifle have been added. - Sniper Rifles can be used like Matchlocks. You can enter the Sniper mode by right-clicking while sitting down. - Practice Sniper Rifle cannot be enhanced. Sniper Rifle can be enhanced with Black Stones(W). - [Hunting] Sniper Rifle can be crafted via Manufacturing. 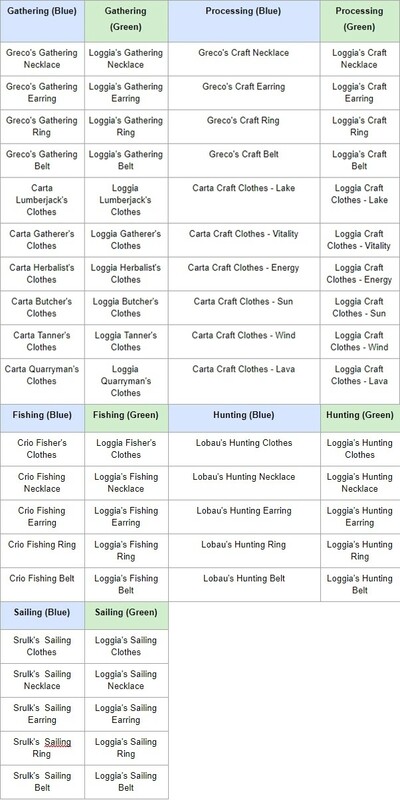 21 new trade items that can be crafted by Hunting have been added. 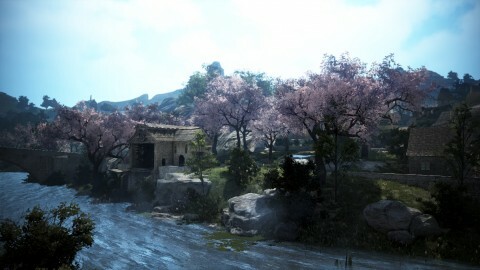 - The materials are obtainable by killing hunting monsters when your Hunting Mastery is above certain point. 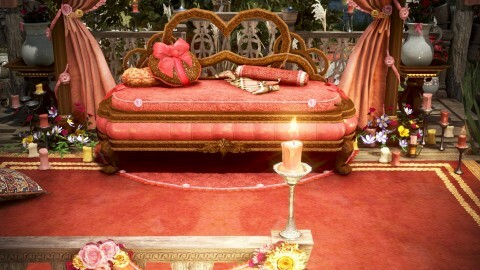 50 new furnitures that can be crafted by Hunting have been added. - The new furnitures can be Manufactured by adding more materials to pre-existing furnitures. Additional effects have been added to Manos Sailing Accessories. 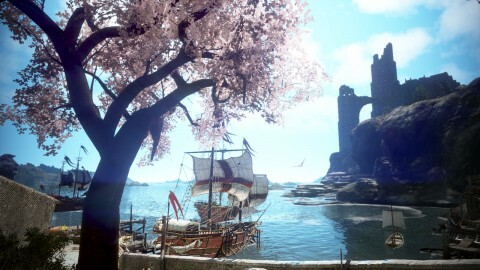 Movement speed buff has been added to Manis Sailor’s Clothes and Sailing exp gain amount will increase by 6% instead of 5%. New ways to craft Manos Sailor’s Clothes and Manos Sailing Accessories have been added. Fixed the issue where the description regarding Mastery was written twice in the item tooltip of Manos Fisher’s Clothes. 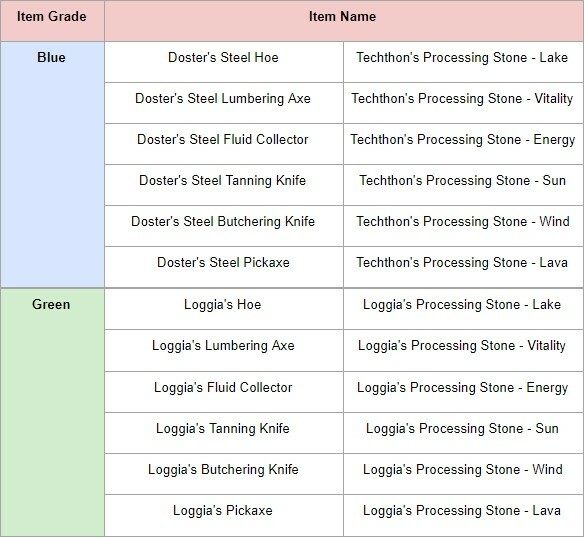 New Life Skill Tools that can be purchased from NPC vendors have been added. - The above items can be enhanced up to +15 with Black Stones(W), and requires Concentrated Magic Black Stones from PRI or above. - The above items will give 1 failstack from +8 if enhancement fails. - Enhancement will be affected by failstacks, and the current failstacks will be reset to 0 if enhancement succeeds. - Enhancement level will drop by 1 from DUO or above. New Life skill gear that can be purchased from NPC vendors have been added. 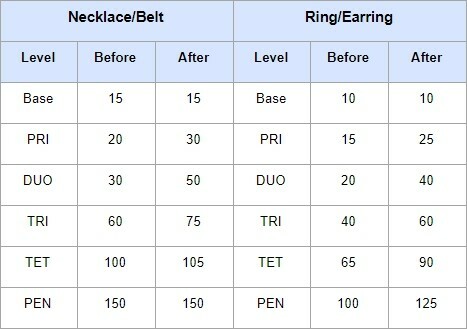 - Clothes items can be enhanced with Black Crystals up to +15, and requires Concentrated Magic Black Crystals from PRI and above. - Accessories can be enhanced with Concentrated Magic Black Crystals. Enhancement success rate for Manos Accessories has increased. 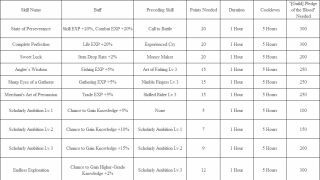 Maximum Marketplace registration prices for Manos Life skill gear have increased. 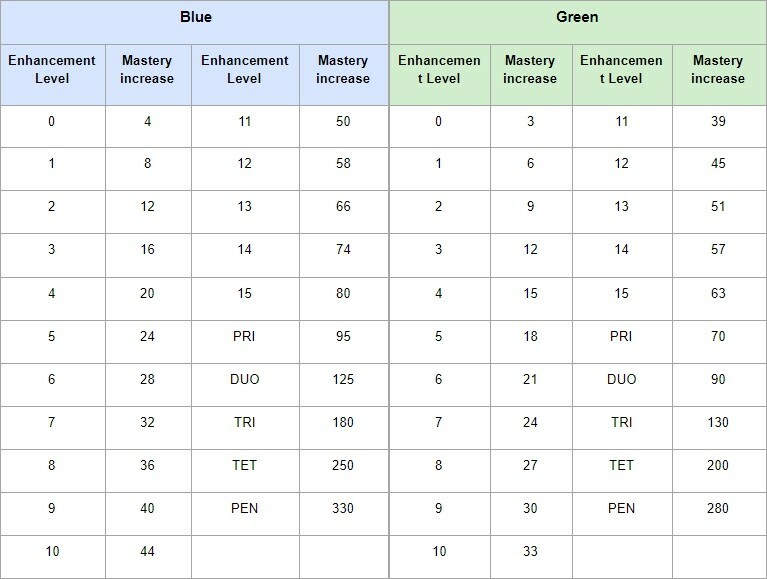 Manos Accessories will now give more Life skill Mastery. Manos Ocean Accessories will have additional stats. Manos Craft Accessories will have additional stats. The amount of materials obtainable by Heating the following items has increased. Lafi Bedmountain’s Upgraded Compass and Archaeologist’s Map will be family-bound. “Exchange Mutant Enhancer” button will not appear when you interact with Gorgath if you don’t have any Mutant Enhancer in your inventory. Descriptions regarding the set bonuses of Set Magic Crystals have been added in the item tooltip. Old Moon Anticorrosive can be sold to NPC vendors. Typos in item descriptions have been fixed. 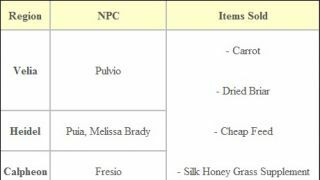 Firecracker items can now be sold to NPC shops. 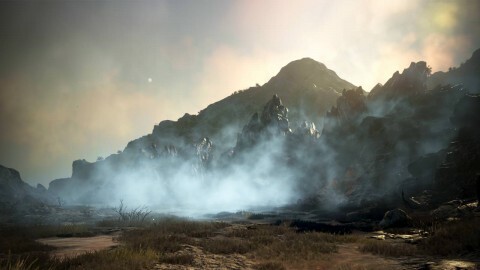 You will be able to gather from hunted monsters based on your contribution (except for a few special monsters). - Individual contribution or party contribution will decide whether you can gather from the monster or not. The same rules for obtaining regular loot will be applied. - You cannot interact with the hunted monster if you do not have any contribution. - The rule will apply only to the monster that can be taken from after dying. - The original rules will apply for Blue Whale, Humpback Whale, Freshwater Crocodile, Khalk, and Bull Gator. New monster Sensitive Big Horn Deer has been added in Fleme Hills, Balenos. - Sensitive Big Horn Deer will run away if you are too close. You have to shoot him with a Sniper Rifle from distance. - More monsters that can only be killed with Sniper Rifle will be added in the future. Additional rewards for butchering hunted monsters based on Hunting Mastery have been added. The event where everyone who participated in Vell raid could earn rewards has ended. 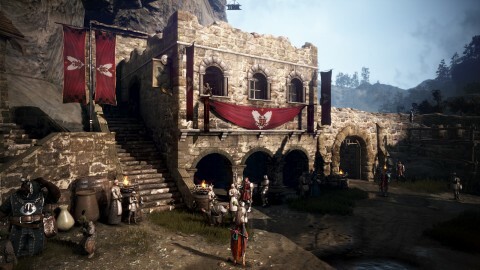 - You now have to deal 5 to 6 or more hits to Vell in order to earn rewards. The damage that the multi-swing attack of Dastard Bheg deals during the quest '[Boss] Frenzied Altar Imp Captain has decreased by 60%. The maximum distance where Gray Wolves can chase you has decreased by 50%. The graphics of Giath’s fireball have been improved. 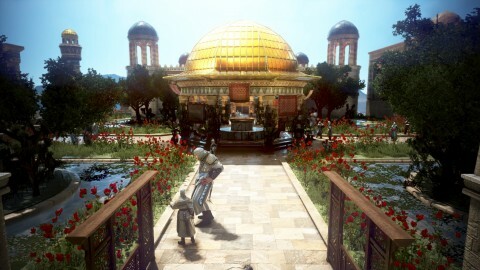 - The quests are available once per family. - There are no preconditions to accept the quests. You can accept the quests by talking to NPC Chuck Laurie. 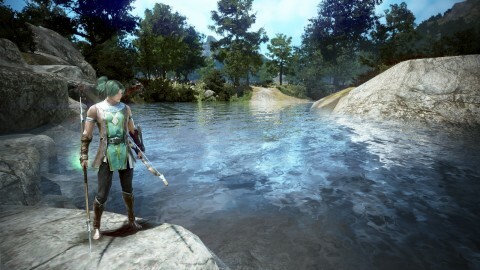 The chance to obtain the quest objective fishes during the following quests has increased. Typos in certain quests and knowledge descriptions have been fixed. Fixed the issue where the “Show a Seagull Feather” button would appear when talking with the NPC Crio when you have the item Seagull Feather. 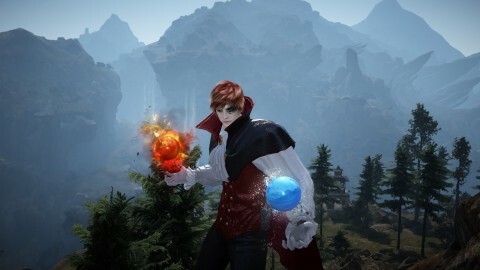 Halloween Festival has started in the world of Black Desert. 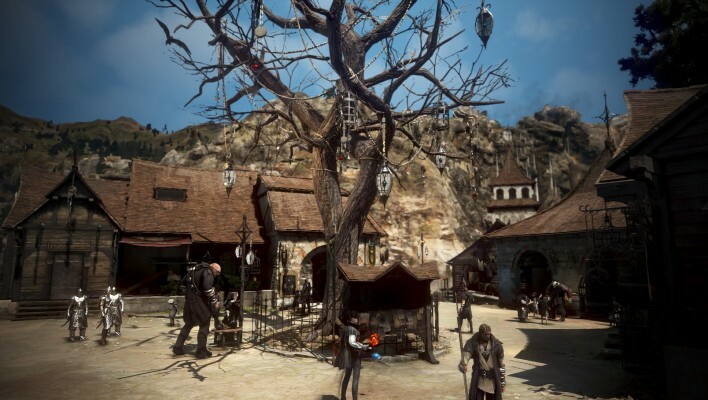 - The background music that plays during the night in Velia, Heidel, Calpheon, Altinova, Valencia, and Grana has changed to Halloween theme music. 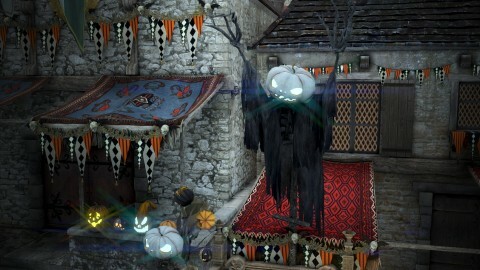 - Halloween props have been added, and a large red moon will rise during the event period. The animation where the character collides has been optimized. Fixed the issue that the appearance and the race of certain NPCs in Altinova did not match. Fixed the awkward desert display in Remastered and Ultra mode. 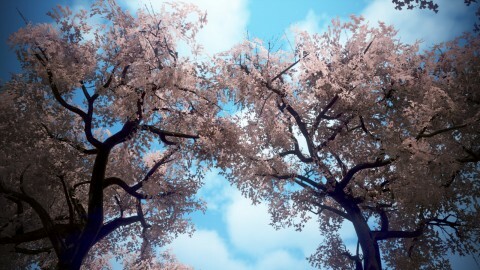 Fixed the issue where flowers and grass in flower gardens would not be displayed. 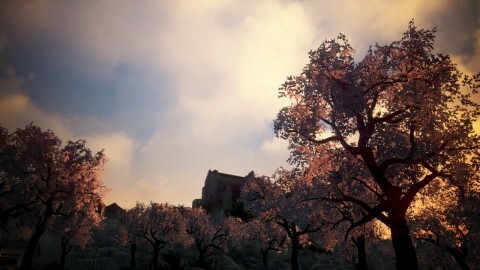 When placing crops, the area of the garden will always be displayed regardless of whether crops have been placed or not. The “Reward” button in the guild member status window will be disabled if you do not have any rewards that you can collect. Fixed the skill icons and descriptions displayed on the Skill Guide UI when using horse skills. Fixed the issue where the preceding skills were not displayed in the descriptions of mount skills. Guide(F1) will not open in Sniper mode. Fixed the issue where Node War Status window would not be displayed properly in the servers where the Node War is not going on. - Node War status window will be refreshed every minute in the servers where the Node War is not going on. Fixed the issue where the modification records were not properly displayed in character customization. Fixed the issue where the status of mounts were not refreshed when you repair the ship that is not taken out. Fixed the issue where Gold Bar 1KG was written as 1000G in storages. Fixed the issue where the Marketplace Maid window would close when you are attacked even after turning of the option to turn off UI when hit. The unnecessary process that occurred when opening the guild window has been removed. Fixed the issue where the following UIs were moved after taking screenshots in 4K or 8K resolution. The function that removes the data of the characters that does not have to be created as you are passing through an area with a lot of characters quickly has been improved. Thank you for these updates. We NA players appreciate these notes, which are always more helpful than the one that we are supplied. 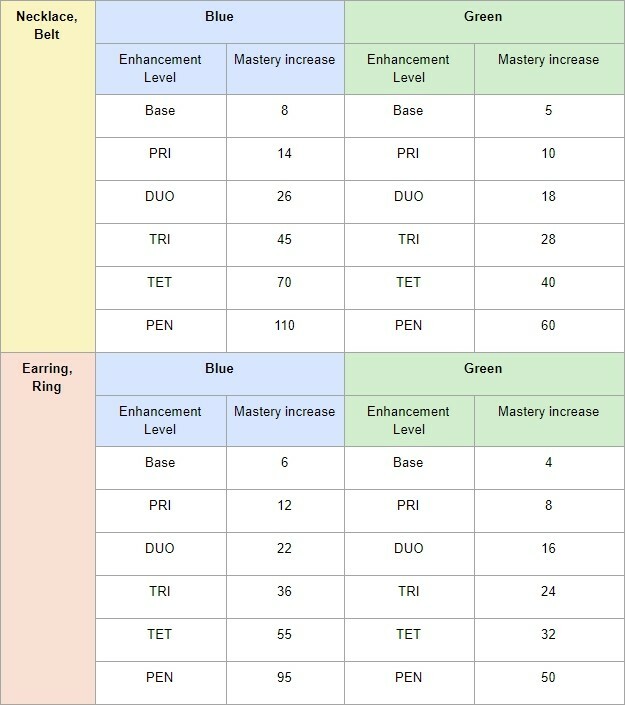 Does this mean in KR you guys have now 2 different recipes for the Sailing Manos Gear: one with red corals and one with blue corals?